Oisín Mac Giollamóir responds to a debate on whether UK capitalism ‘needs’ to make the cuts. I disagree: it is not the task of revolutionaries to merely point out the limitations of Labour and situate ourselves to the ‘left of Labour’. Rather, we should fight for anything that increases the power, confidence and autonomy of the working class. We should support wage-workers and their dependents making demands for themselves independently of the needs of capitalism. Part of that fight today is against cuts to social services and the attacks against public sector workers. That fight is not a fight for revolution, but it is a fight for the satisfaction of the basic needs of the working class. The question then is, can the working class win this fight? Can the working class prevent the implementation of these cuts, or is this a futile fight where the only possible positive outcome would be a revolutionary one? This question revolves around the question, then, of are these cuts necessary for Capital? Does the government need to cut the deficit? The short answer, I argue, is yes. The long answer is no. Let’s take the short answer first. First thing’s first, we need to understand what a government deficit is: it is when a government spends more than it takes in, when expenditure is greater than revenue. So how does a government spend more money than it takes in? By borrowing in financial markets. It sells government debt (i.e. bonds, or as they are sometimes referred to in the UK, gilts). The larger and longer lasting the deficit, the more in debt a country becomes. There is a limit to how much debt country can take on. Exactly what the limit is to how much debt a country can take on is unclear. But eventually the debt ratio becomes a problem for an economy. For that reason, running up a deficit forever is impossible. Therefore the deficit needs to be cut. But the simple question arises: do we need to cut the deficit now? This brings us to the longer answer, No. Let’s consider for a moment the UK debt level and whether the UK is approaching the upper limit to how much debt it can take on. 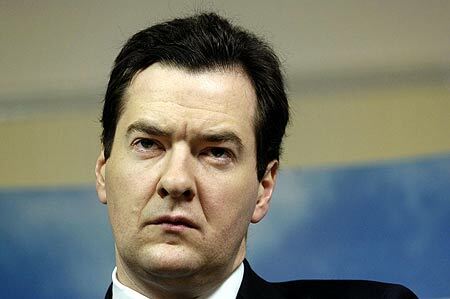 Some, including George Osborne, say that once an economy’s debt ratio goes to above 90% of GDP big growth problems arise. But this is a tendentious claim without substantial evidence. Furthermore, the debt to GDP ratio in the UK is 68.1%, still well below 90%. The real problem that governments face is as the debt level goes up, investors become less and less willing to buy that country’s debt (i.e. by lending to it). This means that it becomes more and more expensive for the government to borrow. This happened this year with Greece. Does the UK face the same problem? The answer here is about as big a no as possible. Not only are investors not becoming less willing to lend to the UK, they want to lend more! The interest rate on UK debt is determined by how willing investors are to buy UK debt. A simple way of thinking about this is if an investor is worried about the creditworthiness of a countries debt, they will only lend to the government if the government pays the debt back at a higher interest rate. So we can see how willing investors are to lend to the UK by looking at for example the interest rate (called the yield) on a 10 year UK government bond. Over September the yield on 10 UK bonds was around 3%, whereas before the crisis in 2006-2007 the yield was between 4.5-5.5%. In other words not only are investors not worried about current debt levels, they want more debt. They want to lend more money and are willing to accept a very low return in order to be able to do so. Investors are more than happy to lend to the UK government. According to the bonds market, there is no need to cut the deficit now. Nevertheless, while there may be no urgency to cutting spending, the level of debt cannot go on increasing forever. So why not bring in the cuts now so that the UK debt ratio doesn’t keep increasing? In order to answer that, it’s worth thinking once again about what debt is. As described above, debt is incurred when a government’s revenue is less than its expenditure. So thinking about the debt to GDP ratio we need to take three things into account: government expenditure, government revenue and GDP. However, most of the focus in the media currently has been on expenditure, to the point of confusing the debt to GDP ratio with expenditure. So what does this mean, and why does it matter? It means that there are three aspects to cutting the debt ratio: 1. cutting spending, 2. increasing tax revenue, 3. increasing the GDP. There is therefore an argument that the best way of reducing the debt level is by encouraging growth. Higher GDP growth would increase the denominator, GDP, and by increasing economic activity and income it would increase government revenue. The question then is can GDP be increased? And the answer is of course it can. We are living through one of the worst recessions in the entire history of capitalism, the largest since the great depression, the economy is operating well below capacity. The GDP can be increased through the use of expansionary monetary and fiscal policy i.e. by the Bank of England printing more money and keeping the interest rate low and by the government borrowing money and spending it. It’s worth stopping to ask here, is this always true – can the government always increase the GDP in this manner? I don’t think it can. In situations when the economy is operating more or less at full capacity (an indicator of this would be unemployment being at or below 4%), then the economic consensus would be that the best way of reducing the debt ratio would be to either cut spending or increase taxes. But the economy is today far from operating at full capacity. The point here then is not that capitalism can be managed in the interest of workers. To make an analogy, under capitalism we can push for higher wages and capitalism can accommodate this. It would be wrong to confuse the fight for higher wages as one that can only be resolved in revolution. Likewise, we can push for equality legislation, greater rights at work with regards to health and safety, breaks etc. We can push for longer holidays, shorter working weeks etc. And it would be wrong to think that capitalism can’t accommodate these demands and that we can only make them as impossible revolutionary demands. So why do we make them? Firstly, because by winning on issues like this we, as a class, improve our lives. Secondly, by struggling as a class we assert our demands independently from the needs of Capital and this empowers us to struggle for more and ultimately to struggle for everything. Likewise with the issue of cuts. It is important to realise that this is a struggle in which we can prevent the deterioration of our living conditions. It is a struggle that Capital can accommodate and it is one that need not end in revolution. But it is one worth fighting nonetheless. This makes some valid points but in treating 'capitalism' as though it was the same as each 'capitalist nation state' or 'capitalist economic block' it ignores the economic limits (imposed by capitalist competition) on what workers, short of combined international action, can achieve within the framework of the world capitalist system and action on any scale at that level would have at least potential revolutionary implications wouldn't it?